The New York State Legislature has passed a law to expand New York City’s school zone speed camera program. WBGO’s Ang Santos reports. 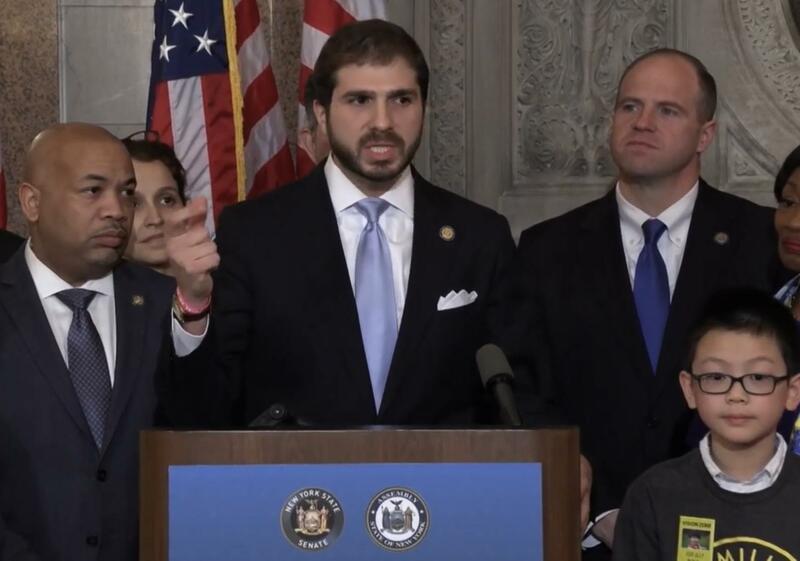 Senate bill sponsor Andrew Gounardes campaigned on passing the school zone speed camera expansion. The New York State Legislature has passed a bill to expand the use of speed cameras in New York City school zones. The bill would add roughly 600 school zone speed cameras across New York City, while increasing the enforcement period time, 6am to 10pm. Department of Transportation Commissioner Polly Trottenberg says the 140 already in place have proved effective. State lawmakers are aiming to expand the speed camera program beyond New York City schools, passing another law to create a pilot plan in Buffalo.